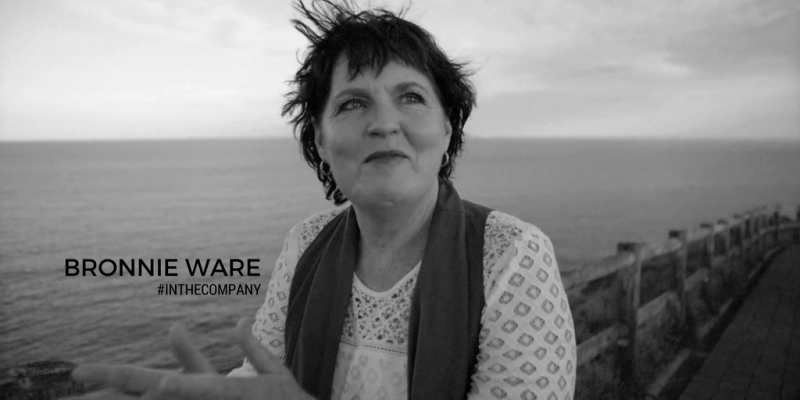 Bronnie Ware is a former banker, palliative carer, singer and songwriter, international speaker and author of several books, including the best selling, The Top Five Regrets of the Dying, and her latest book, Bloom: A Tale of Courage, Surrender and breaking through upper limits. Through Bronnie’s work as a palliative carer, she uncovered the number one regret of the dying was that people wished they’d had the courage to live a life true to themselves, not the life others expected of them. People also wished they hadn’t worked so hard, and that they’d had the courage to express their feelings. Her compiled list of the human condition in its final stages is a powerful call to show up in our lives fully, right now. The list also seems to give us the permission we have long denied ourselves which is to live our lives true to us. In this podcast we talk about how knowing these regrets shaped Bronnie’s own life, especially to take leaps, work as a creative entrepreneur living with chronic pain, and become a first time mum in her mid-40s, as explored in her new book, Bloom. Kylie: Today, we’re in the company of Bronnie Ware, a former palliative carer, singer and songwriter, speaker and author of several books including the best-selling The Top Five Regrets of the Dying, and her latest book Bloom: A Tale of Courage, Surrender, and Breaking Through Upper Limits. The aim of this podcast is to be in the company of people who help us humanise work. And quite frankly, I can’t think of a more appropriate person to interview for this purpose. Through Bronnie’s work as a palliative carer, she uncovered that the number one regret of the dying was that people wished they’d had the courage to live a life true to themselves, not the life others expected of them. People also wished they hadn’t worked so hard, and that they’d had the courage to express their feelings. Her compiled list of the human condition in its final stages is a powerful call to show up fully in our lives right now. The list also seems to give us the permission we have long denied ourselves, which is to live our life true to us. Discovering Bronnie’s work woke me up to the choices I was making in my own life. It’s true to say that without discovering Bronnie’s list my own life today would be very different. I have a list of the regrets printed in my diary, and I use them often as guiding principles when making choices and plans. You can find the full list at Bronnieware.com. Today we’re going to talk about how knowing these regrets shaped Bronnie’s own life, especially working as a creative entrepreneur living with chronic pain, and becoming a first-time mum in her mid-40s, as explored in her new book, Bloom. Welcome, Bronnie. Kylie: Now every time I think about your work, my humanity just keeps bubbling to the surface of my life. And it’s true to say that when I do look up the full list of the five regrets that you’ve got on your blog I have a hard time actually reading that full list without being very moved and becoming very emotional. So I first want to say thank you for doing such incredible work and putting such amazing insights into the world. It’s been a profound uncovering for me. Bronnie: Thank you, but really I’m the messenger of those regrets. So the thanks actually go to the dear people who I looked after. Bronnie: Yeah, but thank you. Kylie: Before we dig into that, though I wanted to just find out a little bit more about young Bronnie, and what she liked doing as a child. And perhaps there might be an insight into how you came to do what you do today from then. Bronnie: Sure. One of the things I loved as a child was I had pen friends all over the world. So I was writing and I had a fascination with other countries and other cultures. So now obviously I’m a writer of songs and articles and books. And I travel the world now, and my audience is very international. So, I think that seed came from all those years ago. I also used to love walking over the paddocks on the farm that I grew up on, which is near [inaudible 00:03:49]. And I was always very connected to nature and had great reverence for it. And now I use nature as a tool for teaching often in my books, and in my work. So again, another seed was planted all those years ago was already coming through me as a young girl. Kylie: Fantastic. And I know from having just finished reading Bloom how important that connection with nature is in your life in terms of staying connected to who you are. But also too, in terms of your recovery, which we’ll get into in just a second. Because one of the other things that I also like to talk about with my guests up front is understanding a little bit more about things that you believe in your life now as an adult and the experience that you’ve had. So, would you mind giving us an insight into three things that you believe in right now? Bronnie: Sure. That space is medicine, leaving space in your life is the best medicine. We can’t be our best self if we don’t leave room for intuitive guidance, for magic, and for spontaneous fun. So, space is medicine. That there’s something to learn about ourselves from every single person we interact with. It’s not necessarily that they’ve got something to teach us, but we can teach ourselves something through our interaction with them. And back to what we’ve just started with, but nature is the best teacher and healer of all. Anytime I need an answer I go for a walk in nature and I can just find the answer there through whatever I’m looking at. So, yeah. Natures the greatest teacher no matter how much we can philosophise, we’ve only got to walk outside and sit and listen. Kylie: Yes. So, digging into the book and what you’ve talked about in terms of your connection with nature and searching for both finding a home that’s close to nature and also spending time in nature was really important, as I mentioned earlier in your recovery. Would you like to spend a few moments describing what you’ve covered in the latest book in the latest chapter that you talk about what’s happened in your life that led you to writing about Bloom. Bronnie: Okay, I was very blessed to conceive naturally and quickly at 44. Became a first time mum at 45. Had a very healthy pregnancy, delivered a gorgeous, healthy little girl, Elena. But straight after that, I started having some aches in my hands and feet and I was diagnosed with rheumatoid arthritis immediately following Elena’s birth. And I was catapulted into a major healing journey. I had left the relationship with her biological father when I was pregnant, for reasons I don’t need to go into. But it meant I was a single mum and in quite crippling pain. So Bloom follows my journey through that … and the subtitles sums it up, that it’s a tale of courage, surrender, and breaking through upper limits. And what I came to find and to use the example of my life through the storytelling, is that no matter what upheaval we’re given it is actually given to us from a place of love. And it is absolutely perfect for who we are individually and for our own journey. And as much as I would definitely have never chosen consciously to go down a road of chronic pain where I couldn’t even walk 30 metres, and when Elena was two she was helping me get dressed. It was horrific the depth of pain I went to with the journey, and I’m doing really well now, and riding a bike, and jumping on a trampoline, and doing all sorts of amazing things, travelling. But I use my life as the example to show that we all get sent really big lessons in life, but they’re not actually given to us as a trauma. They’re given to us to crack us open, to bring us into our best self. So through that story, I have the storyline of love, there’s a storyline of longing for home and being back with nature, and there’s the story of my journey with illness. So, it doesn’t matter if you’re sick or not. The fact is we have to surrender into our lessons. And if we have the courage to do that we actually realise how much love those lessons are delivered to us with. Kylie: Yes. So having read through the story and understanding, or trying to understand the challenges that you faced. As you mentioned, a single mum with a very young child, in chronic pain. And just the exhaustion of raising a small child is significant. Courage is absolutely the word that comes to my mind when I think about that journey that you’ve had. Especially after a period where you’ve given so much to other people through your [inaudible 00:09:16] care work. One of the things that came through to me when I was reading the book, I was thinking, “When is she going to ask for more help? When is she going to finally start taking some of what she’s given out into the world for so long?” And a part of my was thinking that’s the surrender piece, right? Kylie: That’s kinda coming to that place. Bronnie: Coming to that place, Kylie. And also to realise that we’re worthy of that help. And all of us, we get out there and we expect so much of ourselves personally and professionally and nothing good happens alone. We cannot do it alone. For me, because I’d always been so resilient, and I’d always carried everyone through, I just thought, “Okay, well I’ve just got to carry myself through this.” Until it got to the point where I just thought, “This is ridiculous.” And one of the biggest insights I had in the journey, which is in the book, is just because I can do it tough, doesn’t mean I have to. And when I got to that I was like, “You goose, what are you doing Bronnie?” And especially because I’ve learned so much about the importance of time and how sacred it is from hanging out with dying people for eight years. And I don’t want to live with regrets. So I have an immense amount of courage. I am definitely a teacher of courage because I know that to create a life free of regret we have to be courageous. But part of that courage is having the courage to surrender. It’s not just the courage to have a go at things, but to actually let go of things. To have the courage to let go and say, “I actually need help here. I can’t be the person I used to be because” … In my case I had a disease, but because we’re not meant to be the people we used to be. If life is sending us a trauma to crack us open, it wants to bring us into our best self. And there’s no point in doing all the same old things because why would you have this lesson if the same old things were working? Kylie: So what you’ve just described there is the paradox of courage, which is actually that courage is born out of vulnerability. Kylie: And we often think about courage being these brave, heroic acts. And we somehow tie it with hyper-independence and that we can make it through on our own, and it’s just a matter of toughening up. But as you’ve so beautifully pointed out and lived, it’s actually the courage to say, “I need some help,” or “I actually can’t do this on my own anymore and I need to be connected with people that can service some of my needs for awhile.” That actually takes a heck of a lot of courage. Bronnie: It’s ridiculous. We need courage to get on and do physical things, and be independent, and do all of that. I mean, courage has its place there. But it doesn’t serve us in the long term. The more real we can be, the more vulnerable we can be, and the more honest we can be with ourselves about our needs, and just to admit, “Okay, I need help.” On all sorts of levels, professionally as well as physically it was then. The more vulnerable we can be, not only the more open we are then to life’s blessings. But the more we actually connect with other people. Independence is a very solitary path, and it is sort of a path of control to a degree. Where we’re determined we’re going to do it this way no matter what, and life isn’t that clear-cut. All good things have to have some help. We’re not an island, we’re not meant to be on our own and not have [inaudible 00:13:16] reaching out. We’re all meant to be connected. So vulnerability takes immense courage. But once you get that courage and you allow yourself to be real and vulnerable, it’s just immense the joy that can come from that. Because you can just be real then. Kylie: Yes. We’ll come back to that in a second because there are certain parts in the book where you face down that courage that is also frightening at the same time. But you mentioned just before that just because I can do it tough, doesn’t mean I have to. Why do you think that we put up with so much before we surrender? Bronnie: Because we’re shaping our lives around that first regret. So the first regret of the dying is people wishing they’d had the courage to live a life true to themselves, not the life other people expected of them. We can shape so much of our lives around what other people expect of us. So, we’re saving face and we’re appearing strong, and all of this has got to do with how we’re perceived by our peers, by society, by social media, by our family, by whatever. So, the more we can use death as a tool for living and face the fact that we’re going to die, and we’re on limited time, and there’s a really good chance that we’re going to get to the end with that regret if we keep going the way we are. That if we keep going the way we are we’re going to look back and realise we’ve lived our life according to the expectations of others. So the more we can work backwards from that and say, “Yeah, okay, my time is decreasing every single day. I don’t have all the time in the world.” To make these changes and be vulnerable is going to be painful because it’s going to take me to a place within that really scares me. But I can tell you now there’s nothing life can throw at us that is going to be as painful … Well, there probably are … But generally, in most peoples’ cases, there’s not much that life can throw our way that is going to be as painful as lying on your death bed with the pain of regret knowing that you actually had choices and you didn’t exercise those choices consciously. It does take an immense amount of courage to become vulnerable. But so much of that lack of vulnerability is keeping up appearances based on the expectations of others. Bronnie: Yeah. And, “am I going to fall flat on my face and be thought of as a fool?” Yes, probably, but you’re also going to inspire those people when they’re on their own and they’ve actually got the guts to admit it to themselves. “Crikey, I was probably wrong about her, she’s doing an amazing job. And good on her, she’s failed, but she’s got back up and learned through that.” And that fear of failure and being misunderstood, and being seen as a fool, or whatever can stop so many incredible dreams from unfolding because it’s all about what other people think of us, and I’ve been blessed with realising that that’s so irrelevant. And I can actually live my life my way, and do it with peace and freedom because I know it whatever anyone thinks of me is never going to be as painful as living an unconscious life. Kylie: Yes. And before you were a palliative carer you had a significant career in finance? In banking? Bronnie: In personal banking, yes, yeah working for quite a few of the banks. Yes. I did what was expected of me as a young girl straight off the farm. I went and got a job in a bank and I was good with customer service, I loved the customers. And I was good with math and numbers so I was pretty good in the job. But I hated sales targets, and I was restless and in a lot of emotional pain from my childhood. And I just went from one bank to another, from one town to another. And as a result, I actually had an accelerated career path because I’d worked in so many departments of so many different banks that each time I’d go to a new town … It’s different these days with the internet and everything … But whenever I’d go to a new town I’d just walk up and say, “Have you got any jobs I’ve done this, this, this.” “Oh, well we’ve got this job.” And it’s like yeah, well I’ve sort of done that, and I probably hadn’t. But it was enough to get my foot in. So all of a sudden I’d find myself as an assistant branch manager at 27 with no degree. So there were things like that that it took me 15 years of that restlessness to actually realise … Well, I realised early on that it wasn’t what I wanted … But I saw work as completely separate to life. I thought, “Okay if my life’s happy, it doesn’t really matter what work is as long as I can leave it there when I go home. And then I have a happy life outside of that.” But over time I realised that that’s not the case at all. Our calling is to actually do work with soul and with heart. And the more banking evolved into a sales machine, the more heart was removed from it. I think there’s a new consciousness in banking that wasn’t there when I left, which is lovely. Banks are getting very involved in community projects now. There’s ethical banking, if I was in banking now I’d definitely be working for one of the ethical banking groups. But in those days it wasn’t like that and it took a lot of courage to leave that industry because it was a good job, there was a recession on. What are you doing, Bronnie, you’ve got a good job, in a bank, a full-time job? Oh my gosh. And I left there and went and washed dishes on an island for a couple of years. And went completely the opposite way, I just have to break out of this Monday to Friday zone and do something that has nothing to do with anything other than having fun. Sponsored Ad: This episode of In the Company is brought to you by Grace Papers, a world leader in driving gender equality. Navigating a career and parenthood can be complicated, Grace Papers makes it easy by delivering online solutions that helps people transition from employee to working parent. Grace Papers is an on-demand program that can be started as soon as you’re considering starting a family, or when you’re thinking about returning to work. It’s customised to your situation and delivered to a digital device of your choice. Grace Papers is a human rights award-winning startup, engages by some of the world’s most progressive companies, but available to potential and new parents everywhere. For more, check out gracepapers.com.au. Kylie: I write a blog series called, the Leap Stories, and I’ve also published a book called the Leap Stories, about people who were taking courageous career leaps. Was there a defining moment for you thinking, “I can’t walk into another bank ever again, I need to just do something completely different.” Was there a defining moment, or how did you get to that point where it was like all the bright lights, and all the bonuses and that sort of stuff, it’s not worth it anymore. Cause I feel like there’s a lot of people who just say like you did, “As long as my life is happy outside of work, I’ll put up with whatever I need to put up with.” And it’s lucrative, and it’s comfortable, and I know it. Even though I’m slowly dying inside. Bronnie: It built up over a while. I think the first noticeable point was when I was putting on stockings and high heels one day and just thought this is just not me. And it just festered to the point where I would go, as soon as lunch was on, I’d always be in a park or by a river, or whatever piece of nature I could find. And I’d always have my lunch there, and finding the energy to go back into work after lunch was becoming really painful. It was actually becoming a great effort. And I went up to Fitzroy Island on the Barrier Reef with my older sister, and we did a scuba diving holiday, and she was cracking onto our diving instructor, which was really handy. To get out and to pass our tests. And I’d climbed this mountain, and I was sitting on the … It was a defining moment … I was sitting on a boulder, and so I’d seen that there was another life outside of this banking world. There was staff on the island having a ball, and that was their office that they were working on a tropical island. And I sat up on this boulder on Fitzroy Island and I just thought, “I’ve got to work on an island, I just have to leave everything behind.” I don’t know if it was the same year or within a few years of when Top Gun came out. And there was this song on Top Gun, on the soundtrack, called Destination Unknown. And it was my favourite song, I had this huge romantic view of me zooming off into the unknown and not knowing where I’d land. So that’s exactly what I did. I went back from Fitzroy Island, sold all my furniture, quit my banking job. Whatever furniture was left I sent it home to my parents’ farm. And then I wrote to two islands, Fitzroy and Dunk because of the location of them. And I just said I was willing to do anything, which was pretty crazy in a way when I had so many skills. And it was before the internet, so then I did take off destination unknown. I took off and caught the train toward North Queensland, just figuring I’ll work it out when I get there. And while I was on my way, they wrote to me [inaudible 00:23:39] and when I rang my mum from one of those old silver phone books, just dropping 20 cent pieces in. She said Dunk Island has written, they want you to ring them. There’s a job as a kitchen hand. So within a week, I was living on Dunk Island, and up to my elbows in grease and stuff. But from that I learned to mix cocktails, I ended up in the bar and that took me overseas. Yeah, it was a fantastic existence, and I didn’t even know what day it was half the time let alone Monday to Friday anymore. It was a big leap, and it was all that romantic destination unknown thing, and that was my first leap of faith and I’ve done many many leaps of faith since. And always they ask a little bit more of me, and always the reward is so much bigger and better. Kylie: So the more you exercise it, the stronger it gets. Bronnie: Yeah, I’m strong … Oh I’ve got it. Kylie: So, I’m wondering how you dealt with the inevitable voice that was in your head when it came to actually deciding I am going to leave banking, and I’m going to do something else. You know, the inevitable voice that was in your head that said, “But it’s a recession, and but it’s this, and but it’s that.” How were you able to overcome that? Bronnie: Well, I’d been shown a glimpse of what was possible. And the pain of staying in banking had become too much. And that is often the case that we have to, rather than pull ourselves forward for the lure of pleasure, we have to wait till it becomes too painful. And I just knew sitting up on that boulder that I couldn’t do it anymore. I just could not work in a bank anymore. I just couldn’t give my best self to the customers. I just couldn’t do it, there was something in me that was in such a place of pain that I thought, “Okay I’ve been shown something else here, I’ve been shown there’s a choice.” So I went back with complete resolve that I had to quit my job, and I quit it the day I got back from the island. Kylie: Often in the stories that I discover with other people, it is the walking away from what you know and finding space, as you mentioned earlier. To invite a different mindset that enables us to get some perspective. And we don’t often allow ourselves that space to actually find the courage that we need to change and to recognise our choices. Bronnie: That’s right, Kylie. Those years on the island I knew it wasn’t my career and my soul’s work. But by having a job with no pressure for a while … It’s like that whole thing about a side hustle … It took the pressure off, so I could actually just earn a living while I sorted out stuff and went through a lot of growth, and did a lot of healing. And it was still going to be a few years, I went overseas then for a few years, and that’s when I began as a carer, my first care role as a companion. But again, I didn’t see it coming. So I just took a job that took the pressure off while I was trying to work out what worked. So we don’t always know what we want, but we almost always know what we don’t want. If we dare to step away from what we don’t want and give ourselves that little bit of fluidity in between, then we become more open and our vision becomes clearer to be pulled towards what we actually do want. Kylie: That’s so true. I wanted to pick up on something that you also said, then. Which was talking about we’re often motivated by pain rather than pleasure. Kylie: And one of the questions I had written down after reading your book and hearing about your journey with Rheumatoid Arthritis, and the intense physical pain that that brought to you. That has lead to this uncovering of surrender plays a massive part in our life. The question I have is, do you think we have to go through great pain to live more regret free? Bronnie: Yes. Not necessarily physical pain. We have to be cracked open. And some of us a have to be cracked open in a bigger way than others, but no one is immune from growth. Some people may not go through massive upheaval, but if we’re going to create a life completely free of regret … And I have the confidence to do that in my life now … If we are truly going to live a life free of regret, then we have to dare to be our best self. Whatever that is, not as we define it, but as life calls us to be. Kylie: So there is part of that post-traumatic growth as opposed to post-traumatic stress. That opportunity to actually see something that has cracked us open as being a positive and growth experience, rather than one that puts us in the corner of fear, for potentially the rest of our lives. That work is all inner work that we need to find our way through. How do you think some people, like yourself, are able to choose that path, as opposed to potentially the other path. Which does lead to a lot of regrets? Bronnie: I’ve witnessed the pain of regret, and it’s very real. And I could’ve stayed in banking forever. But again, it’s that pain thing, it just pulls you back. So I guess I’ve just had a lot of pain in my past. All the calling from my soul was just so strong that I couldn’t deny that. And it’s probably that more than anything. Because there’s no way I would have ever seen myself as a creative person. Despite my mum being a singer, and my father being a guitarist and songwriter when they met, my father was also an accountant, and my mother a dietician. So, I was raised with this very Monday to Friday career path mindset. And it didn’t matter that we also had musicians dropping in for three months at a time, and lots of music happening. I had been bred to believe in the Monday to Friday nine to five life. And there’s no way without pain, I wouldn’t have stepped out of that, without the pain that it brought. And I’d have never imagined and seen myself as a creative type, I just saw myself as a young corporate woman. And now my creativity that’s who I am completely. I’m grateful that I’ve got a great business head, which is really good for a creative person. The banking industry has blessed me with that, and I think that no skills are ever wasted. But those skills that we gain in jobs that we don’t like can actually carry us forward in a really positive way into work that we will love. And I love my work now, I absolutely love it. So I guess what made me different was that the pain got too much to bear. And so it gave me the courage to keep making choices and I started recognising those patterns. Whenever pain kept coming up I’d think, “My life is too precious. I’m not going to spend my life doing what doesn’t bring me joy.” Because it’s ticking by, and this is not a practise run. This is it. Kylie: And I think I heard it from Oprah, many years ago when her show was still on TV. And she says that your life is always speaking to you. And at first it’ll speak to you in whispers and if you don’t listen, it starts tapping you on the shoulder. And if you’re not listening it starts kind of pushing you around, until you completely get bowled over to say, “Hey, I’m trying to tell you something here. You’ve got to be listening.” And if you’re not listening that’s when pain really starts to magnify and intense. Because as you said, there was something else that was going on in your life that was, you call it a calling. Kylie: Yes. And what was it like the moment that you started to claim that identity as being a creative person? Bronnie: I did it with one foot in, one foot out. What I did was I left banking … I’d gone back into banking when I came back from overseas, but only as a temp. I couldn’t do Monday to Friday, but I kept the banking skills up while I was developing. Photography was where I first started, writing inspirational quotes and taking nature photos. So I started selling those as markets while I was still working in banks for a little while. Despite the island in the middle, I went back to banking. So it can take awhile to break the old habits. And then I left banking completely, but I got an office job in a photography lab. So I thought that was my first step into it, but it was still just another office job like banking. But it was my step into it. And that just become too painful, and I needed a job with heart. And I just kept putting it out there more and more. And that’s how I ended up as a palliative carer, because I just thought I wanna do something … And I had started songwriting by then as well … I wanna do something that allows me to devote time to my creativity without worrying about a mortgage or rent. So I took a live-in job as a carer, and started doing this. I’d moved to Sydney by then, I’d moved around a lot. And I was doing a songwriting circuit in Sydney while I was caring for what I thought initially was just as a carer. And then my first patient became palliative. So that ended up being eight years of looking after dying people. And I still, even during all those years, I saw them as two separate entities. That I had a job with heart that I completely devoted myself to when I was there, as a carer. But then I had this creative job on the side, doing the songwriting and playing at a few folk festivals and stuff. It wasn’t until I was burning out from both of them that … And then I set up a songwriting programme in a women’s jail … So I sort of blended the two together. It was only then, and then I wrote the blog about the five regrets, that I realised that all of those years of looking after dying people weren’t just to fund my creative path. They were the seed of my creative path. And when I blended all of that together and realised, like I said, that no skill is ever wasted. I looked at all my banking history, my hospitality history, being able to cook for people, that helped me with my patients and their families. When it all came together it helped me to surrender, because I realised that life knows our needs so much better than we do. And in the big picture, it was already in place just waiting for my readiness. Kylie: Yes, and what I’m hearing is every opportunity that presented, which gave you more skills enabled you to leverage that in a new way. But in your own creative way, not necessarily in a defined role, or a role that someone else was setting you up to and expected you to live out. It was enabling you to kind of make your own creative role in the world. Bronnie: Yes, it was. And it was all gifted to me perfectly. And with those skills behind me, each of those skills gave me another level of confidence. And every step forward gave me another layer of confidence. And when I started teaching in the jail, I’d never walked inside a jail in my life, and I’d never taught before. And I was teaching songwriting to female inmates, and I just stood there and thought, “Well I’ve sort of done all this in one way or another.” And that gave me the confidence to even apply and to create the programme. Kylie: Yes, so part of that is realising that nothing’s ever wasted. Bronnie: Nothing at all. And it all makes us who we are and perfect for the next level of our journey. Kylie: Yes, and that right now is just as it should be. Bronnie: Absolutely, and for that, I’m enormously grateful. All of it. The pain of banking, the pain of Rheumatoid Arthritis, all of it. Washing dishes on a tropical island in 40 degrees heat. It’s all relevant because all of those skills have been utilised and further developed along the way. To support my life’s work. And to bring this life’s work to the masses. Kylie: Yeah. I would like to switch tracks just for the last part of our conversation, because there’s a topic that keeps coming up in my work with coaching clients. And that’s the topic of grief. And it’s something that we aren’t really taught to deal with as children, we’re often very protected from grief. Perhaps we aren’t in an environment where we have an opportunity to experience it, or we are very much being shielded from the pain of grief. But it’s an undeniable emotion that we will experience throughout our lifetime. And I’m wondering through your work experience in dealing with people in their final stages of living, and being around their families at the same time. But also you talk about the grief of some of your expectations in your new book. Of things not going the way that you thought that they would. What do you know about grief that you wish that more people knew? Bronnie: Well, what you said. That it is a part of our life experience. That we will all have to experience it at some stage. It’s a layer by layer process. It involves a lot of gentleness and compassion for ourselves. And the more we suppress it the more damage we’re doing to ourselves in the long term. So, again, it’s another layer of courage and surrender that we have to surrender to the grief. Things won’t always turn out as we want. We will lose people who we love immensely. We have to allow ourselves to feel it completely, and not toughen up. We will come through it eventually if we’re allowed to feel it. If we’re forced to toughen up, then it’s just going to explode within us through disease, or through mental illness, through whatever. It will come out of us somehow. So, compassion has to start with ourselves and it’s okay to feel grief. We can’t just think we should be over it by now. Some people take years to let go and still feel grief. Sometimes I still dream about my little dog who died when I was 14. And I find myself waking up crying because of my little dog. There are so many layers that we can’t always be conscious of, but as a society, we need to allow people to grieve. And realise that it’s not a failing to feel sad. Grief is a part of life. And we’ve got to go gently on each other and ourselves. I’ve always been quite a gentle person, but I’ve now learned to also go very gently on myself as well. And as much as we can feel the grief, there does come a time where our heart will say, “Let’s try and get on with life now.” We owe it to ourselves to try and be our best self. Take this grief and use it in a really positive way if possible. Kylie: So as you mentioned grief is layers, and it does often pop up and reappear at times that we don’t expect it. I often find that when I’m in my car driving by myself it’ll come and set up camp again for a little while. And you’re right, in terms of, I just need to be compassionate with myself. To say it’s okay to feel sad. I think we don’t give ourselves permission very often to feel that. Bronnie: That’s right. And we don’t know what’s going to trigger the grief either. We can think we’re through it, and then something brand new will trigger another layer of it. And it’s part of our return to ourself. It’s part of cracking open our hearts and returning to the core of real love, of pure love. And grief is a part of that. It’s not all joy, and anger, and denial, and determination, and all of those other things that life sees in public. Grief is just as real as any of that, and it is a part of the process that we have to open our hearts to. Kylie: Yes, because you can’t have the good stuff without the hard stuff. Bronnie: You wouldn’t even recognise the good stuff without the hard stuff. Kylie: Yeah. I’m wondering, you obviously learned so much through the people who were dying with their regrets. What was it like for someone who was a bit more at peace at the end of their life? Bronnie: There were people who didn’t have regrets. And what I found was a common denominator was that they had a sense of gratitude. They also had good communication with their families and friends. They were open to laughter, that sort of thing. But it was quite incredible that there were more people that actually had regrets that didn’t, in my experience. And that may just be because I had a good listening ear, and that’s what came out of people. I didn’t force it out of anyone, but it seemed to just come out. But for those who died peacefully, it was beautiful to recognise that it can be done. It can be done, but they’ve lived a very honest life in their communication, and their expressions. They could express their vulnerability, they could communicate with their families well. Those factors really made a big difference. Kylie: You mentioned just before that you feel quite comfortable with the idea of living to the very end with no regrets? Kylie: Do you think it is possible to? Bronnie: Yep. I do. I don’t think it’s possible to not wish we could do things differently. There’s certainly things I can look back at now and, I’m a 50-year-old woman now, and I look back on 50 years and I can think of lots of things I would certainly do differently if I had my time again. Cause regret is a very harsh judgement of ourselves. So as we’re developing compassion, which compassion has to start with ourselves. Then we can actually look back and say, “Okay, I did make mistakes, there are things I could regret. But I’m actually going to have compassion for my old self as who I am now.” Because I’ve obviously evolved from that or I wouldn’t recognise the mistake. I think it is possible, in two ways. For me, I’ve got compassion for the mistakes I’ve made, and for mistakes I will probably still make. And also I have an awareness of death, and I use death as a tool for living, and think, “Okay, if I do this or don’t do this which one’s going to cause regret here?” I’ve got a really scary decision to make. If I go this way I’m going to regret it, or which way. And so I use that awareness of death and regret to make decisions consciously all the time. It’s just a part of my makeup now. So I think it is possible to die without regret. Providing we can have compassion for ourselves and our human-ness for the mistakes we’ve already made. And to apply as much consciousness as possible about the potential of regret to the decisions we’re making now. Kylie: And that’s in all parts of our life, right? It doesn’t matter whether we’re talking about our working lives, our contribution to a community, or to society, or to our relationships with our family, or our friends. Compassion is something that we hold for ourselves no matter where we show up in our lives. Bronnie: Yes, and the more compassion we can have for ourselves, the more compassion we can have for others. So we don’t react to others if they’re dumping stuff on us, whether it’s in a work environment, or at home, whatever. Because we can actually step back and look at it compassionately and think, “Okay, well they’re really suffering at this moment. They’re taking it out on me, but this is their suffering talking, not me.” So that compassion can just heal so much. Kylie: I know you’ve also done a Ted Talk and one of the things you talked in the Ted Talk was the difference between self-love or self-compassion and selfishness. Because often people will think that self-love and self-compassion piece that’s kind of just an easy way out. Or for people that don’t think of anyone but themselves. But what would you say to that? Bronnie: Well, we have to be our best self in order to serve others. And the more we honour our genuine self-care needs, not stuff like a bucket list of 10 countries to visit, but actually I need to have a bath tonight I’m burnt out. The more we can genuinely treat ourselves with self-care then the better we show up for everyone else. So self-care isn’t about not caring for other people, it’s about caring for yourself as well as caring for other people. And if you only care for other people, and you don’t care for yourself you’re going to either end up with burn out, or resentment, or regret, or all three of them. Whereas if you have the courage to genuinely honour your needs, and we all have limits whether we’re well or not, we all have limits. And the more we can acknowledge those limits and create space to wanna honour our needs. Including enjoying time out with girlfriends, or whatever. Then the better we show up for everyone. And the more we do that then we’re leading a heart centred life. And anyone who lives a heart centred life, genuinely lives it, they know that you end up being called to serve anyway. So you just do it from a place of sustenance, rather than burnout, or martyrdom, or whatever. Kylie: And that just seems like the perfect cycle of what’s happened in your life and what you talk about in Bloom. From the giving and the giving and then actually needing the help and the assistance and the support and the surrender yourself. That just is a perfect circular kind of story that I’ve seen play out in your life. So it’s incredible to see those lessons play out. Bronnie: Yes, well life gives us all full circles in different ways. Some small full circles, some big full circles. Kylie: Yes. I was just wanting to check in with your health. As you mentioned, for people who may be interested in listening from the very beginning, because as you describe in Bloom, the Rheumatoid Arthritis was very debilitating early days. And you talk about not being able to use your hands to cut vegetables, or just the pain of them just being at the end of your arms. How are you doing now? Bronnie: I’m doing really really well. I started the journey just trying to heal it naturally, then I went onto pharmaceutical meds, which helped me a lot but they had a lot of side effects. Now I’m only on herbs, and I’m doing remarkably well. Only last week, actually one of my fingers bent even further cause there’s some joint pain in them. And as you’d know from reading Bloom, I had to give up my guitar for awhile. I now have a contraption that this wonderful man in Ireland makes called Cordelia. And it lets me play chords without having to put my fingers in their old positions. And I have a lot of grief with my music part, it’s brought me back to my music. Now I’m actually finding that I’m bending my fingers while I’m speaking to you now, that my fingers are coming back very slowly. But I’m doing some really amazing rehabilitation work with them. I jump on a trampoline, which I just can’t believe that I have that freedom. I ride a pushbike now. I’m doing really really well. I think the real marker for me was seeing the Northern Lights in Norway over Christmas New Year. It was something I always wanted to do, and I was so ill that I couldn’t even pack a suitcase let alone go anywhere. I just couldn’t. At one stage I had to get … You know when you catch a flight and they have a lift for people that can’t walk … I was in a wheelchair taken up into a plane that way. And now I’m travelling, and I don’t line up in the disabled line to get on first. And I was standing there under the Northern Lights in between Christmas and New Year, just gone. And the Northern Lights are dancing over me, and that was beautiful to witness in itself. But it was more just like, “Wow, Bronnie, good on you. You’ve got this far.” So I’m doing remarkably well. I still live with RA, but I live with it in a way that it’s just a very gentle friend that says, “Hang on don’t push yourself too far,” because life can be gentle and beautiful if you allow it to be. And I feel that it is still reversing. I’m still noticing improvements. And like I said, one of my fingers bent down and actually touched my palm again not long ago. And I said to Elena, “Check this out, look what’s happened.” And she’s like, “Oh my goodness mummy, that’s fantastic.” So I’m continuing to improve and for that I’m enormously grateful. Kylie: Yes, and after reading the book and hearing about your entry into motherhood in your 40s dealing with a chronic pain condition, and still creating a wonderfully creative entrepreneurial for yourself that enables you also to be a wonderful mum, and contributor to the broader community. I’m grateful that you also have had the courage to choose that path in your life. And to fully acknowledge the choices that you have. So thank you for putting the work out into the world that you have, and sharing your stories with us. Because in sharing your stories we will find ourselves in part of that as well. Bronnie: Thank you, Kylie, thank you. Kylie: I want wrap up our discussion. So before we go, I’ve got two things. The first thing I’d like to ask you is, what three things would you like listeners to take away from our chat today? Bronnie: The courage to realise how precious life is, that they’re not on unlimited time. The courage to realise that they’re worthy of a happy life, however they define that, that they are worthy. And that health is freedom, and none of us are invincible. So leave space, because that is the best medicine of all. Leave some space without plans. Kylie: Yes, because you’re your most important asset at the end of the day. So space to take care of that asset is top priority. Kylie: We have ten questions to answer in ten seconds, our ten by ten. Are you ready to rumble? Bronnie: Using death as a tool for living, and appreciating the gift of time. Bronnie: Take It In by the Waifs, due to my commitment to presence. Bronnie: Time offline, and reconnection in real life. Bronnie: Trust in the big picture, there are blessings to be found in every challenge. Bronnie: To learn how to accept kindness as so much flows from that on the deepest levels. Bronnie: Footprints on the Path by Eileen Caddy. Bronnie: Are no longer close friends. I enjoy better friendships with love and courage these days. Bronnie: Going for a bike ride with my five-year-old daughter, always. Bronnie: More courageous people in the world. Kylie: And I am one of those, as a product of your work. And I’m proud to say that I feel part of your legacy. Thank you so much for spending this time with us today, Bronnie. I really can’t tell you how much your work has impacted me and what a privilege it is to speak with you today. I’m really grateful. Bronnie: Thank you, Kylie. I’ve enjoyed it thoroughly, and thank you for the work that you’re doing as well. And many blessings to you with that.